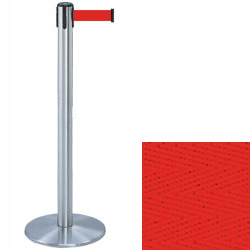 These chrome stanchions with red belt are great for restaurants, events and other locations where crowd control is necessary. Each post features a strong metal fabrication and sturdy weighted base that keeps them upright in high traffic environments. 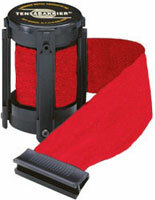 The chrome stanchions also feature a brightly colored retractable tape that measures 13' long and 2" wide. 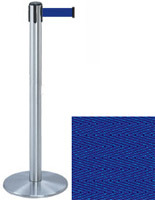 The stands with a weighted base feature a sleek silver finish that will match any event, lobby, office or restaurant. 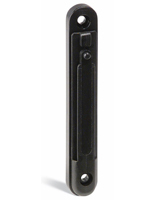 The modern stanchions with a vividly colored strap are part of the Tensabarrier series and they can fit accessories such as signs and other displays.